LG were rolling out Gingerbread to its Optimus handsets from mid November. Now at the start of December, it is starting to roll out in UK to Optimus 2X users. If you have one of these handset then the update is already available to you. Its a shame fro the Optimus 2X users that a dual-core smartphone wait such a long time for one single major firmware upgrade after original release. A few days ago, LG announced the Optimus 2X, alongside with the 3D, Black and LTE, will be getting the Ice Cream Sandwich update as well. The update schedule will be announced sometime in December. 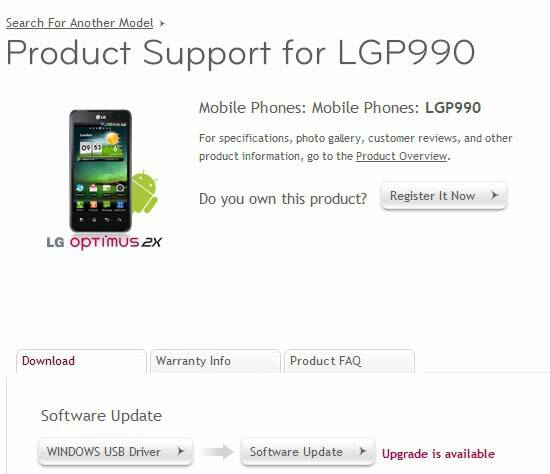 In the mean time if you want to know more about Android 2.3 for LG Optimus 2X then check this out.